Okay, I know Pat Stansik is a really obscure musical reference but it was the temperature when we started fishing yesterday and it was “pretty cool.” As you can see, the cold blooded creatures didn’t mind nearly as much as we warm-blooded ones and it only took about one minute for this skilled tenkara angler to call for the net. Thankfully the day did warm and, with the help of repeated infusions of hot chocolate, we had a wonderful morning of winter fishing. 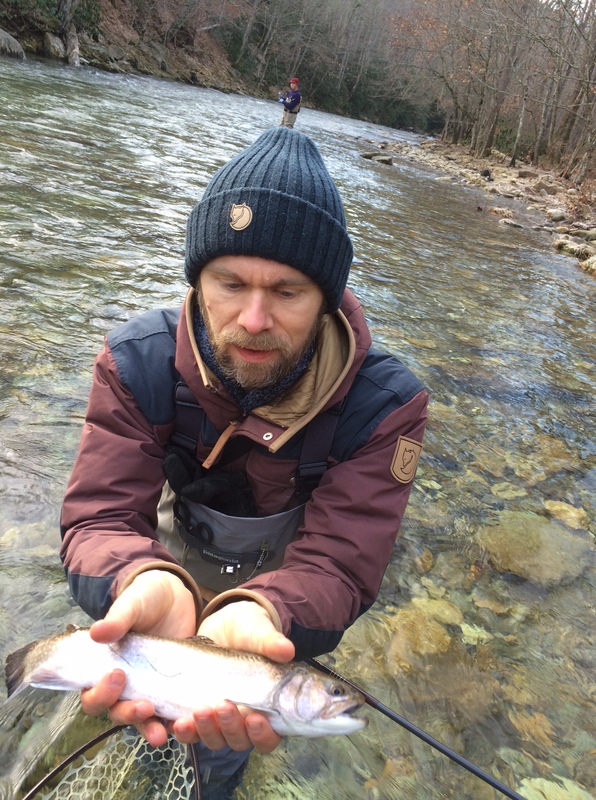 Winter is the “Secret Season” for trout fishing in western North Carolina so bundle up and get out there!